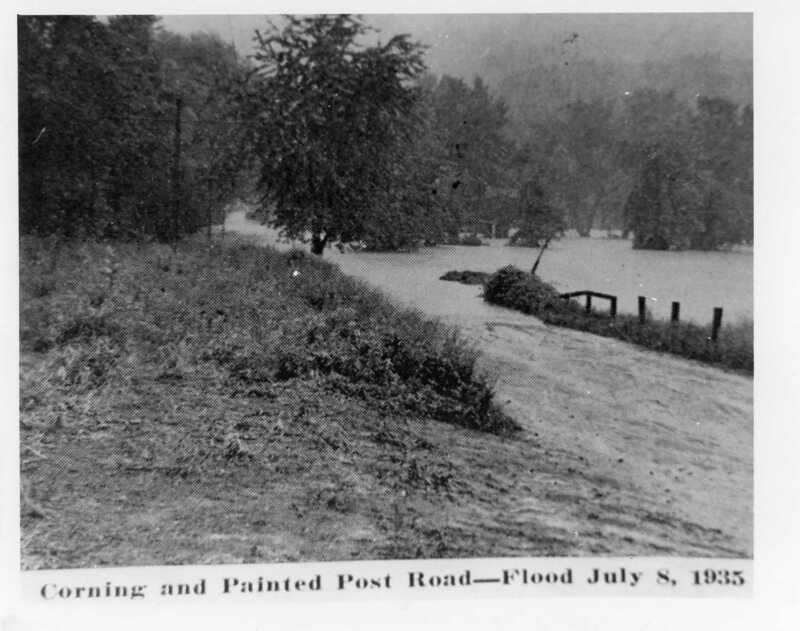 I’m not sure where this photo was taken as I’ve never heard of a road called “The Corning Painted Post Road.” The photo was taken sometime during the Flood of 1935. 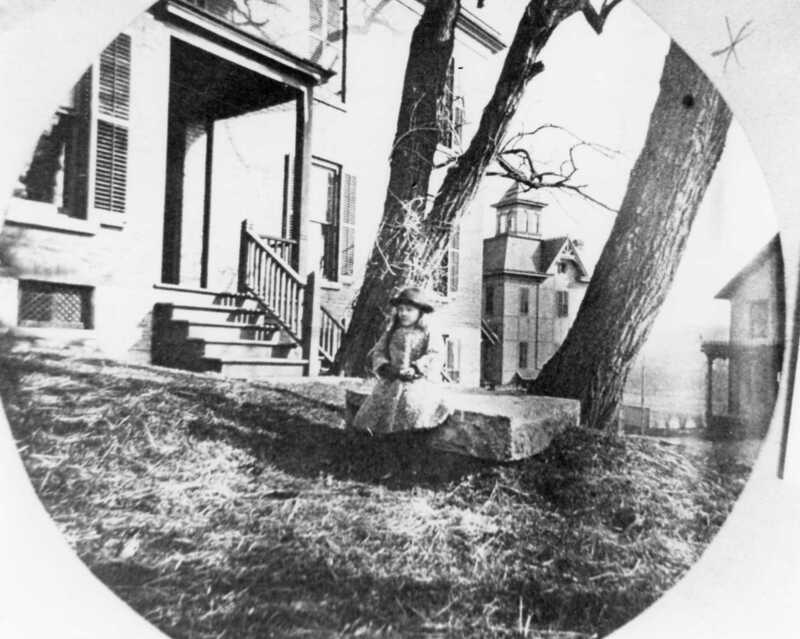 If you recognize the location of the photo please let us know! 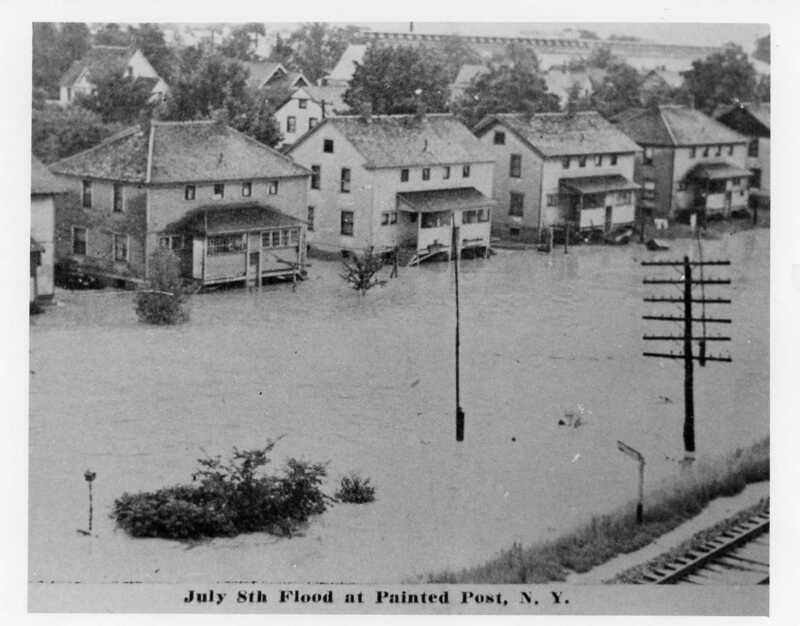 And our last photo for this week shows a shot of Painted Post during the 1935 Flood!